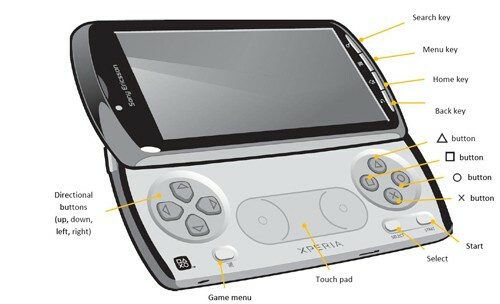 In a post on Sony Ericsson's Developer Blog coinciding with the official launch of the Xperia Play atMWC earlier this month, the company clued in developers on how to take advantage of the game-specific controls they'll be dealing with on that glorious slide-out board. In short, it's insanely straightforward for the most part: the hard buttons just generate standard key codes, which explains why existing games worked so well with the unit we'd previewed. The only tricky part comes into play with the center-mounted touchpad, which can't be accessed through the standard Android SDK -- for that, you'll need to turn over to the NDK, the native-code escape hatch that Android devs use when they need higher performance and want to get closer to the hardware. SE's published a 16-page guide on getting to the touchpad through the NDK, and it seems straightforward enough -- and plenty of game developers are well acquainted with the NDK already, anyway -- so we're guessing it won't be much of a hurdle. Getting devs to support an input method that's only available initially on a single commercial device might be a bigger hurdle... but we digress.